2017 is about to end and 2018 is about to start. We'll have more game updates in 2018, including the big 1000 game Pretty Good Solitaire for Windows update, coming in 2018! My new year's resolution is to tweet more as I'm almost at 150,000 followers. Pretty Good Solitaire is at version 17.2 with 960 games. Download it at http://www.goodsol.com/download.html . If you have any trouble downloading or installing, see our video How to Download and Install Pretty Good Solitaire there. 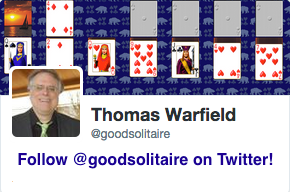 Please tell your friends about Pretty Good Solitaire and direct them to Goodsol.com, we need all the help we can get! 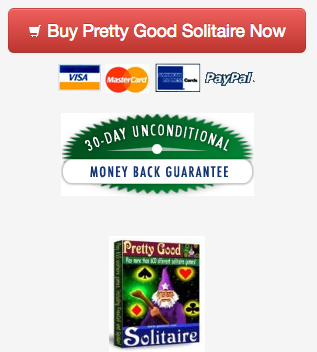 Pretty Good Solitaire for Windows is also available on Amazon in a DVD case, see http://www.goodsol.com/amazon . The latest version of Pretty Good Solitaire for Mac is version 3.4 with 700 games. This game is at Superior Canfield.